JOHN Kaye, the only Jewish member of the NSW Legislative Council, died after a short battle with cancer at the age of 60 on Monday. NSW GREENS MP David Shoebridge has apologised after it was revealed a staffer in his office invited Holocaust denier Fredrick Toben to a pro-Palestinian harbour cruise fundraiser held in May. FEDERAL Greens leader Senator Christine Milne has reiterated her party’s support for Israel’s sovereignty after the NSW Young Greens posted a poll on Facebook questioning whether the Jewish State should exist or not. 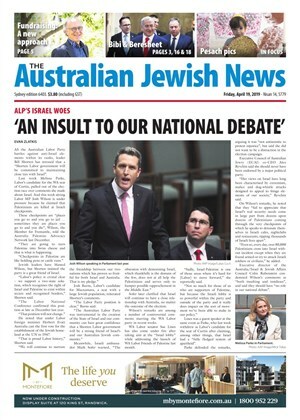 COMMUNAL leaders have slammed a NSW Greens-backed campaign to build a ship to break Israel’s naval blockade of Gaza as ignoring the reality of life under the brutality of the Hamas regime. 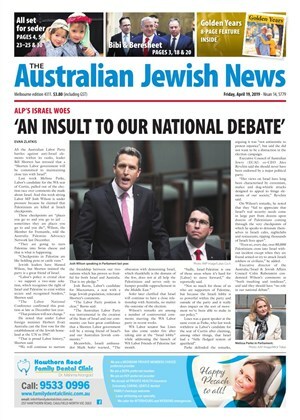 NSW state Labor MP Walt Secord went to the extraordinary length of raising three points of order in defence of Israel during a speech by his own party colleague in the NSW Upper House last Thursday.